If you have friends or family living in Mexico, it’s fun to take a road trip to visit. Whether you will stay for a few days or spend an extended amount of time, it’s important to buy quality Mexican car insurance policy before you leave. It’s easy to take the length of the trip for granted, deciding that you won’t be there long enough to warrant buying Mexican auto insurance online, but the fact is that accidents don’t happen on your schedule. 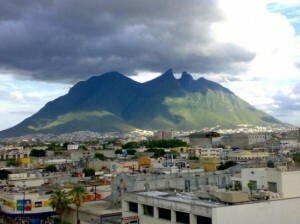 Click Mexican Insurance Store.com to learn more about a quality Mexican car insurance policy. While accidents may be infrequent for tourists to Mexico, car problems are common. Take time to check your car’s road worthiness before you leave so that you can minimize your susceptibility to a problem. Tires, fluids and brakes are especially important. Each of these can lead to potential breakdowns if not optimized before your trip. Buying Mexican car insurance policy coverage that provides emergency assistance is an extra protection against being stranded without resolution. In addition to your Mexican auto insurance online, make sure you have a means of contacting your loved ones if there is trouble. Provide them with an itinerary so they’ll know what route you are taking. In an informal setting, you may let your guard down about the foods you eat or the fluids you drink. Your stomach is probably not prepared for the potential bacteria and parasites that can infiltrate tap water in some areas, and you need to be careful to avoid drinking it. If you do wind up with an intestinal infection, your trip could be delayed a bit. Some illnesses in the area can even lead to serious hospital time. While you don’t need to be paranoid during your visit, you should be smart about your eating habits. Mexican auto insurance online with a provision for medical evacuation can come in handy. Even if your trip is just delayed, it’s helpful to have Mexican car insurance policy coverage that can be extended due to a longer stay. Taking time to research online will ensure that you find Mexican car insurance policy that carries proper liability levels while being priced fairly. It’s easy to get a quote online for your Mexican auto insurance online whereas a border booth doesn’t provide you with the chance to make comparisons. What kind of Mexican car insurance policy will you purchase? We are all human. Beside risks of accident and vehicle breakdown, there is also the risk that we may fall sick while on tour right there in Mexico. The best way to be safe from such risks is to take comprehensive Mexican insurance policy with medical and car breakdown cover.